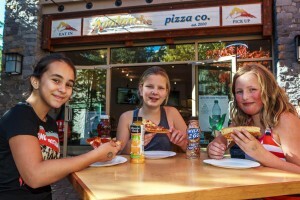 Avalanche Pizza provides excellent meals for many locals and visitors to the mountain resort each year. Fantastic food is available during all seasons from the Whistler village restaurant that is locally owned and operated. We had a fantastic meal at Avalanche Pizza in the village during our visit. Our entire family really enjoyed the pizza which was made fresh to order when we arrived. We look forward to going back again for another meal after our adventures on the mountain slopes! This restaurant in Whistler village is the best place to stop for a late lunch after mountain biking on the mountain during the warm Summer months. They always have a nice selection of fresh slices made ready to enjoy. I am always super hungry after mountain biking so going to Avalanche Pizza works well because it is a quick and easy way to have a great meal.